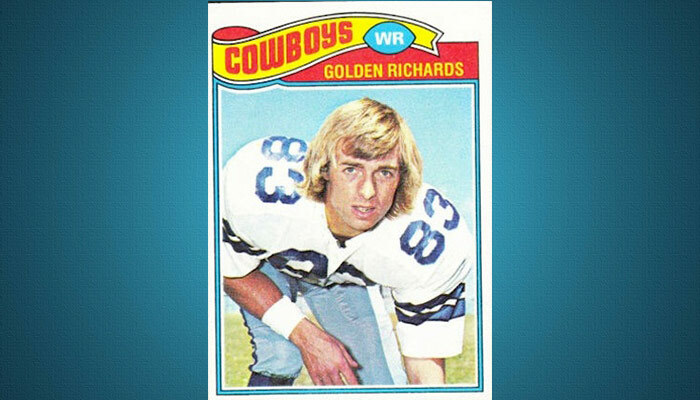 Golden Richards’ touchdown catch sealed the Dallas Cowboys’ 27-10 victory over the Denver Broncos in Super Bowl XII. He also appeared with the Cowboys in Super Bowls X and XIII. Richards was raised by a devout Mormon family in Salt Lake City before going on to play at BYU.